c e m p r u t: tuto on friday: recycled jeans bag...!!! 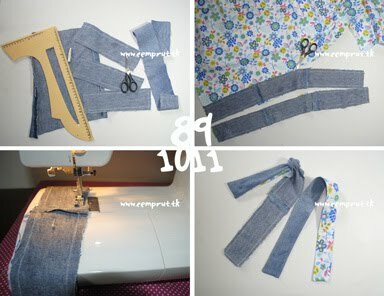 1. wreck the jeans stich, the front and the back side, the bottom right and left of the jeans. then cut it the leg side. 2. trim the wreck jeans like the pick, embed the pins. for the part that still open just cover it with the jeans scrap. 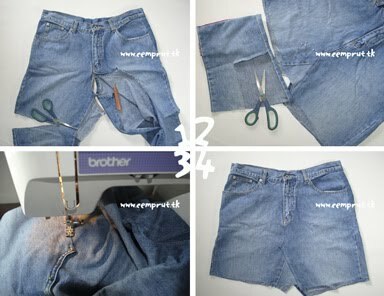 3. sew it with sewing machine follow the form line of the jeans that have been wrecked. 5. turn back the jeans and make a straight line in the botton of jeans. 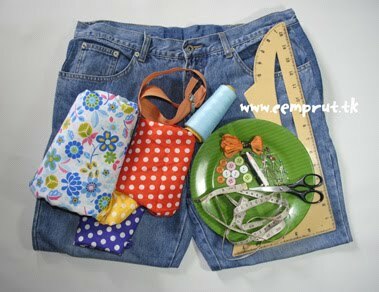 6. sew the line, make a triangular fold in the bottom end of jeans and sew it like in the pic. 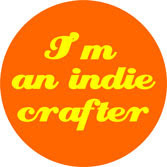 make another in the other side of the jeans. 8. now times to make the strap. 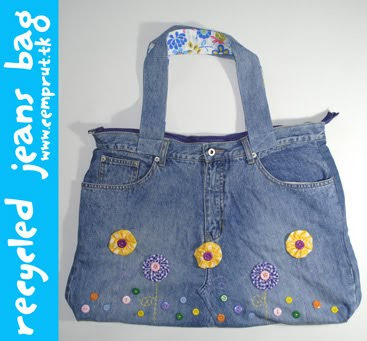 cut the scrap jeans as you like it. 9. lining it with the cotton fabric and embed it with pins. 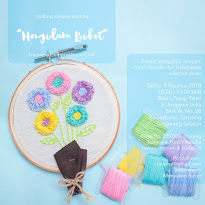 10. sew the line, don't forget to leave a free line without sewing it. 11. fromthe free sewing line you can turn the strap in to a right side. 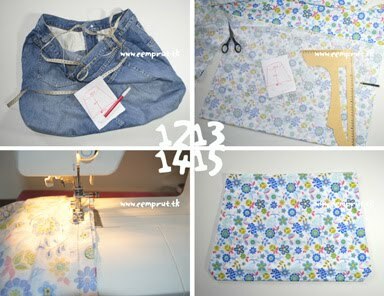 12. now time to make the lining for the bag: measure the jeans, the periphery, the lenght and the wide of the jeans. 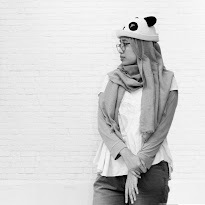 13. draw the pattern from the meausured jeans and cute it. 14. sew the the line from the pattern. 15. and this is the result. 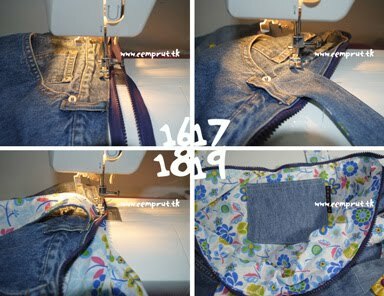 16. sew the zipper through the upper side of the jeans. 17. sew the strap in to it. 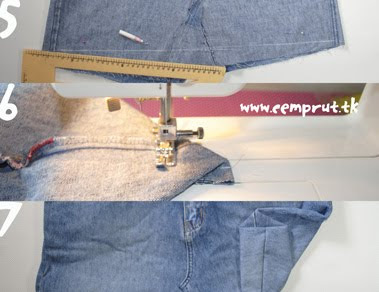 18. sew the lining in the back side of the jeans. but before it just take the ornament or accesories in the jeans as you like it.